Mukesh Singh Lodhi, the district president of Bharatiya Janata Yuva Morcha (BJYM), wrote a letter to vice-chancellor Tariq Mansoor on Thursday threatening him that he had 15 days to reply or thousands of BJYM workers will enter the campus to do a “murti sthapana”. The youth wing of BJP demanded the construction of a temple for Hindu students in the Aligarh Muslim University campus. ‘’Sir Syed Ahmad Khan, the founder of Aligarh Muslim University, had stated that both Hindu and Muslims are the two eyes of AMU and this should be the driving force for the vice-chancellor of the university to allow the construction of a temple on AMU campus,” Lodhi wrote in his letter to the vice-chancellor. “This act of the vice-chancellor would strengthen Hindu-Muslim unity in the nation and would communicate a message for the nation. The VC should follow the maxim of ‘Sabka Saath Sabka Vikas’ and allocate land for the construction of the temple,” Lodhi said. The spokesperson for AMU Shafey Kidwai said the university is yet to receive the letter from Lodhi. “At this juncture, we will not be able to comment on the content of the letter,” Kidwai said. An office bearer of AMU’s students’ union has questioned the timing of Lodhi’s demand and termed it as a “stunt” to gain attention ahead of the Lok Sabha election later this year, Hindustan Times reported. 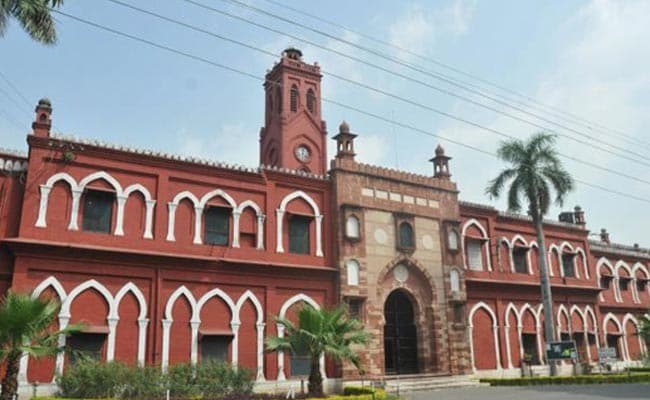 AMU students’ union vice-president Hamza Sufyan said those who are demanding temples inside the campus will only be allowed to do so if they receive permission from the government and university administration. “If the university doesn’t grant them any permission to make any temple inside the premise, they can’t set a foot inside the campus. This statement of building temple forcefully is showing their mentality. They are nothing more than a group of uneducated people,” Sufyan said in the report. “Such false issues of mandir-masjid are only raised before the elections. It doesn’t have anything to do with reality. The university is there for a long time and it took them 100 years to raise this non-existing issue. This is a clear stunt to gain attention before the 2019 Lok Sabha elections. I am requesting everyone to avoid hearing such statements. Let them talk, our silence will become a rather louder answer,” he added. Dr Manvendra Pratap Singh, a member of the National Monitoring Committee for Minorities Education, also backed the demand for the construction of a temple inside the AMU campus in December. "There are at least 6,000 Hindu students in the university, but there is not a single temple, while there are mosques in almost every hostel. What kind of secularism is this?” he had said. The grandson of BJP MLA Dalveer Singh, Ajay Singh, who is also an LLM student at AMU, had also demanded the construction of a Saraswati temple in the campus in December. In 2015, the Supreme Court had ruled that any new religious building, like temples, mosques, churches, etc, will not be constructed in central universities or educational institutions. The court also said that any existing temple or mosque will not be demolished. Will the ‘self-righteous’ AMU students now disown Sir Syed too?